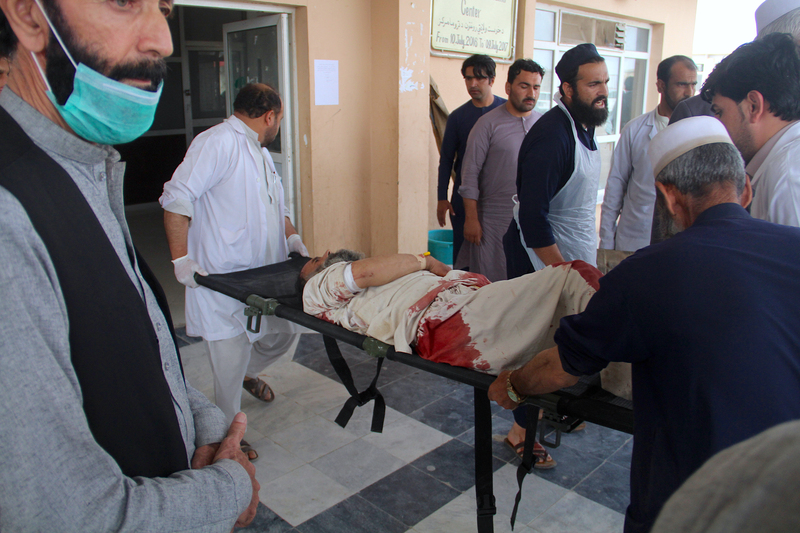 KABUL -- Hundreds of grieving Afghans buried their loved ones in Kabul Monday (April 23) after a suicide bombing at a voter registration centre killed more than 60 people and wounded more than 120. The bomber detonated his explosives Sunday morning (April 22) in a large crowd queueing to collect national identification certificates as part of the voter registration process for long-delayed legislative elections scheduled for October. "In this terrorist attack, more than 60 people were killed and about 120 others were injured," Interior Ministry spokesperson Najib Danish told Salaam Times. Most of the victims were civilians, including children. Two police were killed and five were wounded, Kabul police said in a statement. Security forces identified the bomber, but he detonated his explosives before they could stop him, Danish said. "The terrorists are defeated on the battlefield, and their programmes and strategies have failed; therefore, to create chaos, they target civilians and public places," he said. The Interior Ministry will do its best to the ensure the security of national identification certificate and voter registration centres and will not allow terrorists to challenge the election process, Danish said. The blast, which was claimed by the "Islamic State of Iraq and Syria" (ISIS), caused carnage in the streets of the heavily Shia-populated neighbourhood. Pools of blood and body parts mixed with shattered glass, bloodstained identification documents and passport-sized photos on the ground, AFP reported. More than 40 of the wounded were taken to a trauma hospital run by Italian NGO Emergency, which said at least 20 patients required "major surgeries". "I found myself covered in blood, with dead bodies -- women and children -- around me," said Ali Rasuli, who had been standing in a queue outside the centre. He was hospitalised with leg and abdominal wounds. President Ashraf Ghani condemned the bombing as "heinous". Acting US Secretary of State John Sullivan said Washington was committed to "destroying ISIS in Afghanistan". "This senseless violence targeting innocent civilians exercising their fundamental democratic rights exposes the savagery and inhumanity of terrorists," he said. "This senseless violence shows the cowardice and inhumanity of the enemies of democracy and peace in Afghanistan," tweeted US Ambassador to Afghanistan John Bass. The United Nations and NATO also condemned the bombing. Funerals for some of the victims began hours afterward on Sunday, and more of the dead were buried Monday. 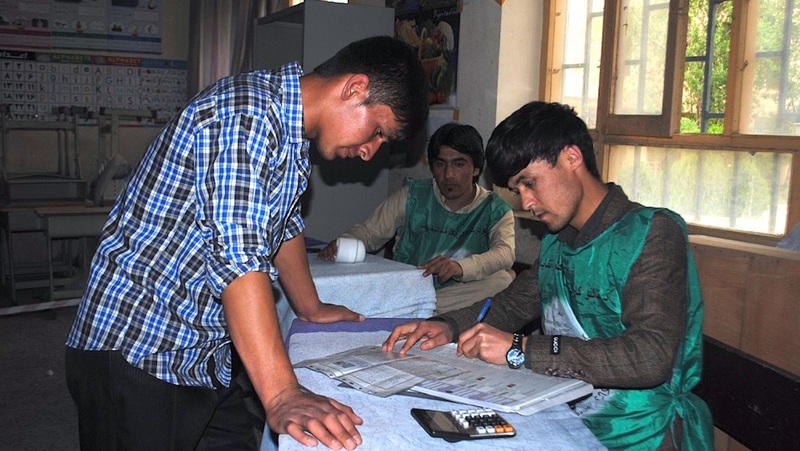 Voter registration centres in Ghor and Badghis provinces have come under attack since the process began on April 14. Independent Election Commission spokesman Shafi Jalali said Sunday's atrocity would not interrupt preparations. "We hold meetings with security forces almost every day, and they have assured us that they will provide security for all voter registration centres," Jalali told AFP. "The process has not been interrupted, and it will continue."